Trade in your old equipment! Is your guitar due for an upgrade? Have you got too much gear laying around gathering dust? Trading in your guitar at Haworth Guitars could be just what you need. 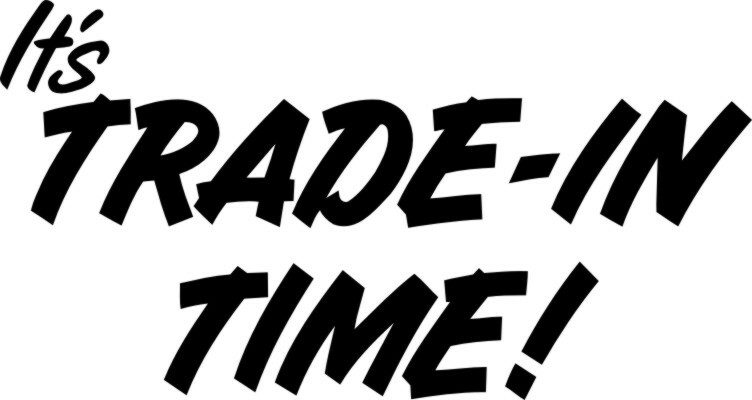 Trade-ins can be a great way to upgrade your guitar, amplifier or music gear and get that new guitar or equipment you’ve had your eye on. Trade-ins can help to turn your old gear into new gear! And there’s nothing like a new guitar, amplifier, pedal or piece of equipment to inspire you to keep playing music, which is our goal for you, our customer. We want all of our customers to enjoy making music on instruments that inspire you to play. At Haworth Guitars, when we work out a change-over figure for your trade-in, we really need to see the guitar or gear the customer is looking to trade so that we can value the item accurately. It’s always best to bring in your gear to show us in person so that we can closely inspect the guitar or piece of musical equipment and determine what we are willing to offer. The best time to bring in your equipment is Monday to Friday as we often have more staff available to value your trade. Weekends are not the best time to bring in your trade as the shop floor can be busy and there may not be a staff member there on the day to assist with the trade. It is always best to call ahead to see when is the best time to bring in your trade to show us to make sure we can allocate the resources needed. At Haworth Guitars, we have been trading-in guitars and musical equipment for over 30 years and pride ourselves on offering fair and reasonable trade-in prices to all our customers. We also have one of the biggest ranges of guitars, amplifiers, pedals, keys, drums and musical equipment in the country so if you’re looking to trade-in for a new piece of gear, we’ll have what you’re looking for. We also have some of the most helpful staff around who are here to help guide you through your trade-in experience. Our staff are eager and willing to discuss potential trade-ins with you so all you need to do is ask. What do Haworth Guitars Trade? Guitars are by far the most common items that we trade, we do however sometimes trade-in amplifiers, pedals, drum kits and other pieces of music gear. At Haworth Guitars we can sometimes be a little bit picky with what we choose to trade-in due to limited wall and floor space and customer demand for certain products. It is for these reasons that we do not accept all trades. We will be honest with you and tell you if the trade-in suits our business model or not. There’s no harm in asking though and we encourage all of our customers to ask us if they are considering a trade-in because you never know, we could surprise you with what we are willing to offer. When you bring in your instrument or piece of music gear to trade it’s always a good idea to do some of your own research first so that you can tell us what you would ideally like to receive for your equipment. We will conduct our own research to determine what your trade is worth to us and what we can offer you. Keeping this in mind, it is always a good idea to be a little bit flexible when you ask for a trade-in price on your gear as what we offer may or may not be what you are expecting and we may need to negotiate together to find a common price we are both happy with. At Haworth Guitars we always aim to be as fair as possible and sometimes what we believe an item is worth is dramatically different to what our customer believes it is worth so therefore in some cases we are unable to agree on a price which is just the nature of trade-ins. If this does happen to be the case, the customer is welcome to discuss other options with us such as selling the equipment on consignment instead. We understand that trading in your gear can be a difficult thing to do, after all we love our guitars and we know that you do too! So sometimes it’s not always the right decision to trade in your instrument. You will need to decide for yourself if you’re ready to part with your music gear and if you are then we are happy to assist but if you’re not quite ready to say goodbye to your equipment and you still want that new piece of gear, then we have other payment and finance options available such as Studio 19 and Zip Pay which can assist with your new purchase. Another option to consider rather than to trade-in your equipment with us is to sell your gear through us on consignment. Consignment sales can be a great way to turn your old guitars or music gear into cash and one of the best things about selling through Haworth Guitars is that if we don’t sell it, we don’t charge. We also have a nation-wide customer base and an extremely wide reach due to our online presence and multiple store locations which can helps us to find the right customer for your product fast. Ready to trade-in or have a question?